QR codes can enhance and add value in many different types of businesses, including car dealerships. Why are QR Codes ideal for vehicle sales?The car shopper now has more access to information than ever before. The internet gives access to millions of new and used cars.Shoppers are the empowered informational buyers. In today’s modern world retailers can only benefit from aiding the buyer with the information needed to empower them in making an informed choice.By utilizing QR codes, car dealerships are able to empower the car buyer with information on their smart phone. This information can be saved, texted or emailed to any parties involved in the buying process, enabling absent parties a virtual tour of a prospective purchase.First off, let’s not forget the main goal: lead generation. For dealers who aren’t open 7 days a week, QR codes are a great tool to capture information when no one is around. Or maybe someone has had a bad experience with car salesman and would prefer to scan the code and request more information via e-mail.Purchasing a vehicle isn’t an impulse buy. It’s a purchase that many research, compare, and price shop. Utilizing QR codes can help make this research process easier for the buyer by storing the information of the car directly on their phone. Stay ahead of the competition get smart with QR Codes. Tagme are a limited company; we aim to make contact information and digital advertising work in the real world. Our customers are safe in the knowledge we do not sell exchange or buy, any data, emails or marketing strategies. You are assured that all aspects of your account is secure from third party’s. We have our own intellectual property rights and as we protect our UK I.P. we also project our users and customers in their rights. 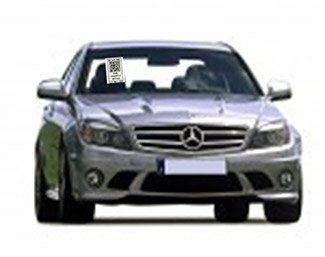 The QR code point of sale is placed in the windscreen of the vehicle; from there any potential customer can scan the code on their smart phone. its easy and fast and convenient. By login into your user account you are able to update all the information displayed on your landing page after the “QR code” is scanned. From your account page you can follow the data analytics giving you the tools that help make a winning dealership. The code is displayed has a functional sleeping salesman on the customer’s device. Vehicle details, Make model, spec, mileage etc. The touch Functions on the display give the customer easy contact to your sales staff. Find us. Google map showing your location. Website, this can be any URL from your company site to the direct advert for the Vehicle on other sites such as. Autotrader. Book a Test drive an automatic email request for test drive. Call back, an automatic request for sales staff to call regarding the product. Direct dial from landing page. The potential customer now has the Vehicle details on their mobile phone, from there the QR Code is automatically saved allowing them to carry the details and show to any other party’s involved in the decision making. Information on the potential purchase.